Whenever we come across something new and inspiring there's always that desire to more fully understand it. You analyze the work as a whole, you zoom in, dissect it's parts, wondering what the creator's vision was when they put it all together. How did they they want it to be seen? What lead them up to this point? Where did they draw inspiration from? For the past few weeks my day has started with flipping through a few more pages of Tank Moto issue #1 that sits on my desk at the studio. Tank Moto nails it on so many levels outside of it's impressively rich content. The physical feedback it gives you is just as refined as the full spread photo layouts. For us in the US it's a smaller format then we're used to at about 6.5 x 9", but it works. It's compact and it's heavy...even potent. The juxtaposition of the thick glossy pages and matte newsprint section gives you that extra level of tactile feedback. These small well thought out details all play into the overall experience whether you're aware of them or not. Tactile feedback is so important to how we perceive things. It's the reason the touch points in automotive interiors are paid so much attention to. Only have the budget for a couple square feet of real leather?, then it's going on the door handles, steering wheel and shifter. After designing interiors for Ford, Volvo and Aston Martin this is something Luke Ray knows better then anyone...so lets get to know him a little better. Where did your professional background start out? After graduating from a masters in Transport Design through Coventry University in the UK, where I originate from, in 2000, I started working at Aston Martin design as an interior designer in the same city. I worked heavily on the 2003 DB9 and '04 Vantage programs, penning the production interiors for both over a three year period. My automotive interior design career then took me for a fun two year spell in Sweden at Volvo, after which I was headhunted by Ford of Australia to work here in Melbourne on the 2012 Ranger program. That was in 2006, and for the subsequent four years I was lead designer on the Ranger interior that has now been 'on the road' for a year or so. I came here as a single man, and I am now well settled in this fabulous city with my wife, a beautiful young family by my side and an Australian passport.. quite the unexpected turn of events. What was the big push or driving force behind your decision to begin putting together a magazine? It all kicked off very gradually whilst I was designing at Ford here in Melbourne. I had made the transition from point-and-shoot to SLR camera just a year or so prior, and it soon became clear that I was fortunate enough to have an eye for photography. After some basic night school and some event coverage in a few Australian auto mags, I had built up enough of an interest in car culture here, particularly hot rodding around Victoria to put together a low volume small format publication as a trial run. I just printed 1000 copies, without any advertising or distribution knowledge and jumped in at the deep end. That was some two years before I left Ford, so it was just a small evening and weekend hobby whilst I was working there. However, over those two years momentum grew and grew, and I started to up the production values of each issue. I landed a distribution deal for issue two, and things started to work themselves up from there. It got to the point where the Ranger design team's input into the program was ramping down as the design part of the development came to an end, and an opportunity came up with a round of FoA redundancy packages. I jumped in and took that option, and I haven't looked back since. So I guess there wasn't really a big push or driving force, other than a keen desire to explore something different and to ride the wave of this new corner of creative design that I had uncovered for myself. What was the biggest challenge you've faced in producing Fuel Magazine, and now Tank Moto? Learning a ton of new things form scratch. Graphic design, publishing software, printing technologies, distribution models, short development turnarounds (a few months compared to a few years of a vehicle design). Everything was completely new to me, and there was no one around to teach me. I still do most things myself, although I now have a very small, tight knit team of enthusiasts around me who support my vision and indulge in the projects with me. I couldn't do any of this without them now, so I am very fortunate to have such talented people within the publications who are all now an integral part of the Fuel Press machine. What is your process like for sourcing new content for your publications and what are some of your guidelines? The process is very straightforward. Each one of us has ideas, and we all sit down at a table and talk about them. It's no more complex than that. We don't have guidelines other than if we all seem to like something, we pursue it. As far as my sourcing goes, it comes from all over the place. Web browsing, flicking through magazines, going to events, talking to people, good old brainstorming, or occasionally things just come along in their own unique way. Sitting down with Geoff, Craig and a glass of white usually serves up successful results... Other times it can just happen right in front of you. For example, Craig (my assistant ed on Fuel) and I went up to Sydney for an event just a couple of days ago where Chip Foose was a guest of honour. We went to the press conference, took some notes, shot some photos, had a chat with him and within 24 hours of landing back in Melbourne, we had a comprehensive interview feature with Chip scheduled for the next Fuel that goes on sale in just a couple of weeks. On the other hand, an in depth cover story that we have been planning and spending alot of time on for a few solid months just got 'bumped' until later in the year to make way for something else. It is truly fascinating going through these journeys and processes, not knowing where things take you. We have something very special indeed coming up in Tank Two which I can't talk about right now, but it involved some overseas recognition of issue one resulting in exclusive access to a motorcycle project that we would not even have dreamed of pursuing. Getting that email made for a special day for sure. How would you describe what Tank Moto has to offer to someone who hasn't seen it before? 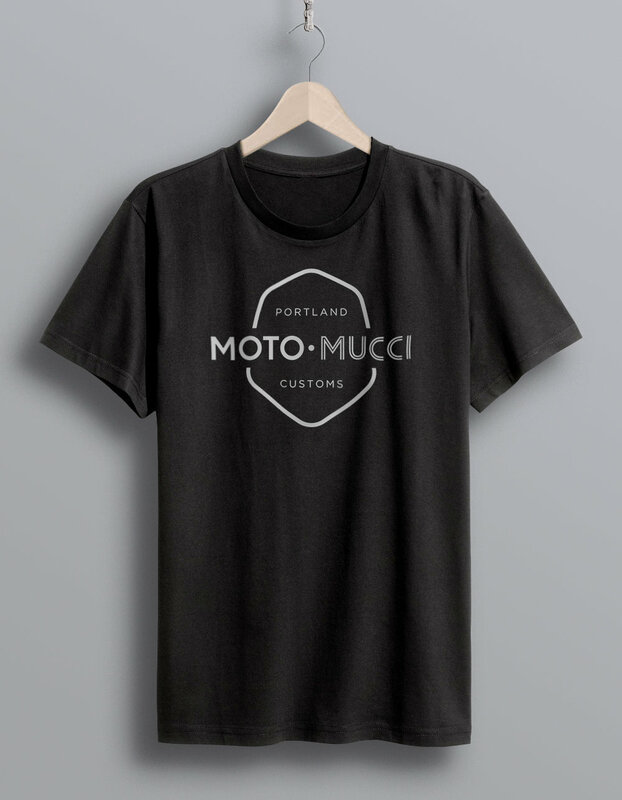 Tank Moto offers a package that is not available in any other motorcycle publication, and that is the goal that we set ourselves when we conceived it. TM has not been designed to replace current motorcycle media, but to compliment it and add something extra to an enthusiasts shelf. It includes a full range from classic bikes through to customs, race bikes, choppers, design projects, history, cafe racers, production bikes, interviews, events and artists, and all put together using production values that, as far as I have seen, have not been used in a motorcycle publication before. Weighing in at nearly 450g per copy, we do have a few headaches with the postage costs to overseas regions, but we decided to stick with the high production values that have been so well received with Fuel Magazine, as the quality of the presentation and materials is a core ingredient of all Fuel Press products. What are your near future goals or plans down the pipeline? For the foreseeable future our focus is to follow up the Tank premiere issue with 'Tank Two' in October, under the watchful eye of Geoff the editor, and Craig the assistant ed, then serve up one more Fuel Magazine before Christmas and then take my family for a nice cold winter break back to Sweden. After that, 2014 is a fresh year with plenty of possibilities so we'll see where it takes us. I never really consider 'goals' as such, as that feels like an end point. The only goals I have are short term ones to deliver each magazine to our printer on time without our distributor chasing me with a big stick and shouting about on sale dates. In all seriousness, I just do my best to deliver a high quality, well considered and engaging product once every couple of months. As I mentioned, I now couldn't do it without the team, but it's me who keeps one eye on the calendar, leaving the others to stay creative and enjoy producing great content. Down the line I am already thinking about the next big project. I even came up with the name today, but that's probably about 3 years away. But there's nothing wrong with planning ahead, and keeping the motivation going gets the creativity levels up, which is what landed me here in the first place. Custom Motorcycles & Design, Portland OR.